Corn (Zea mays) a.k.a. maize comes from the grass family and is an edible grain/cereal. In my area, The local farmers markets are chockablock with people scurrying around to grab as many succulent ears of freshly picked corn as possible. As a matter of fact, my family and I were driving past a corn stand the other day only to witness a man trying to cross the road with his bicycle handles loaded with hanging bags of corn. Now that’s what I call determination! As a registered dietitian, there are certain foods that are often, what I refer to as, food bashed. Food bashing is when someone avoids certain foods and tells everyone else to do so because, via incorrect non-evidence-based nutrition sources, they've heard that a specific food is one to be avoided at all costs because of how bad it is for you. Unfortunately, corn is one of the healthy foods that is often bullied with untrue food myths about how bad it is for you and, because of their lack of exposure to or care about these incorrect myths, one of the foods that children absolutely adore to eat when it is conveniently served on easy to hold cobs or freshly popped in a bowl! Just look at the faces below, do they look like they’re eating something that’s bad for them? Besides being portable and fun to eat, here’s some great reasons to grab a fresh ear of corn today! 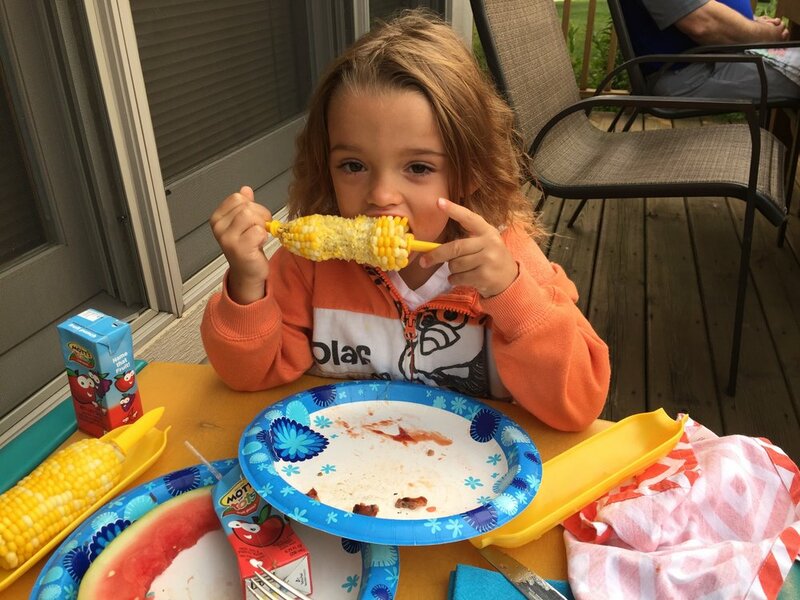 Although it’s often referred to as a vegetable, corn on the cob is actually a whole grain, which means that all three parts of the grain are present; the bran, germ and endosperm. 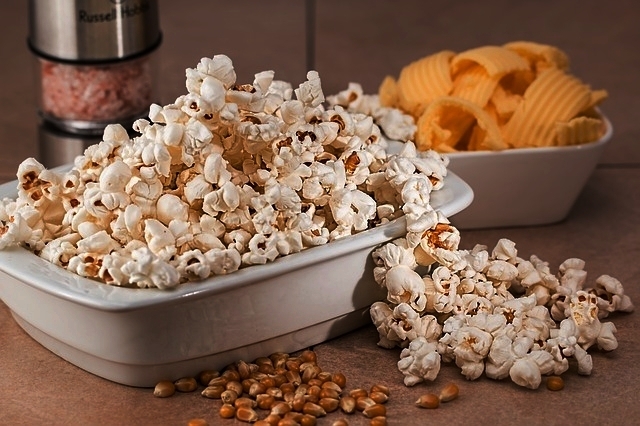 I’m always telling my grandchildren that lightly buttered popcorn is a wonderfully healthy snack for them. It’s a great source of both soluble and insoluble fiber, which is great for our digestive system and our colon. An important mineral that maintains bone production, skin health, and healthy blood glucose levels. Manganese helps the body produce MnSOD (manganese superoxide dismutase), a powerful antioxidant that neutralizes free radical damage. 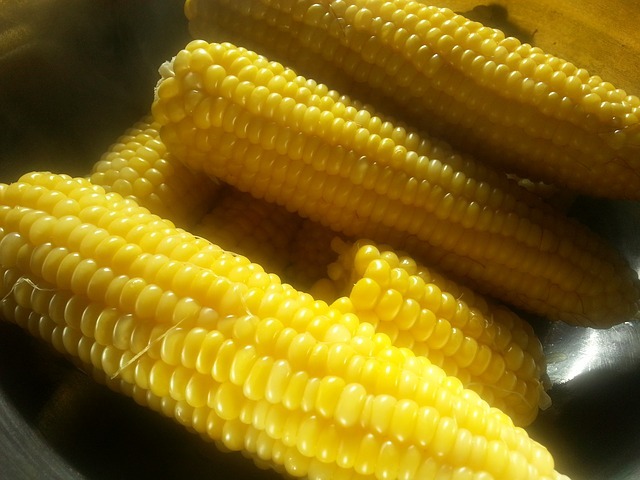 Corn contains vitamins B3 (niacin), B6 (pyridoxine), and B5 (pantothenic acid). These all play a role in energy, protein, and glycogen production via fat, protein, and carbohydrate metabolism. Fabulous folate helps the body avoid anemia, keep a healthy heart, and lowers the risk of birth defects during pregnancy. 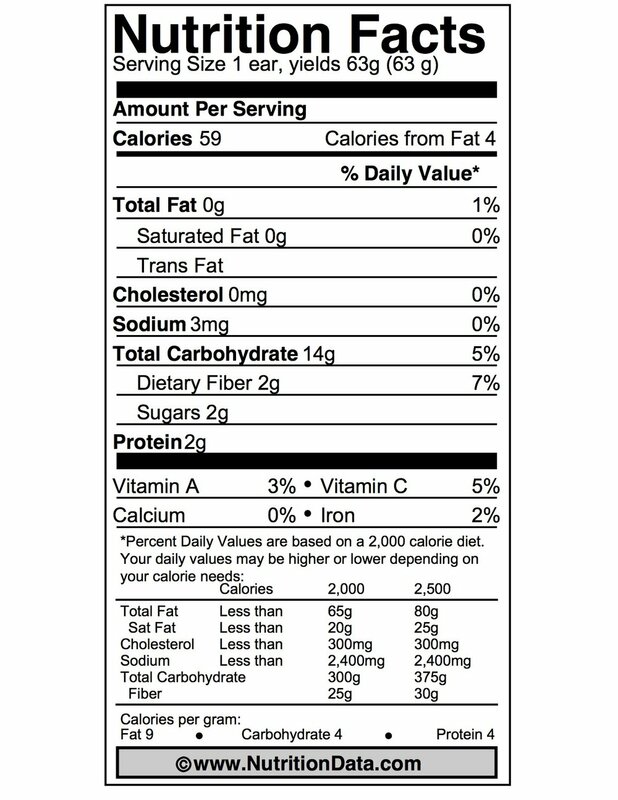 This perfect package is naturally low fat, low calorie and, packs protein, vitamin C, iron and, vitamin A. 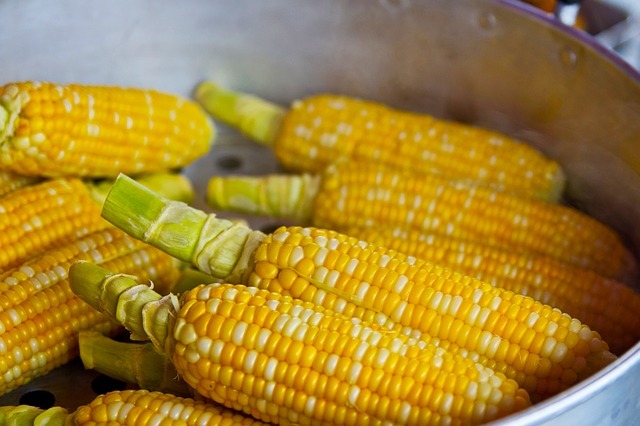 Corn is a good source of this mineral that maintains healthy cell function and energy production, overall bone strength by optimizing calcium absorption, and the body’s overall pH balance. Consider letting corn star in your next meal. Here’s a few quick and easy ways to use it up.